It'll fly by fast before you know it... and you'll enjoy that drink. Watermelon mix vodka, your liver is screaming. Sooo good for the summer. The JACK DANIELS ROOT CANAL FLOAT is a wild mix of jack daniel's whiskey, root beer and vanilla ice cream. It blends perfectly giving you a wonderful tasting ice cream float. Garnish: alcohol mini bottles of your choice, and a cherry/lime a top. 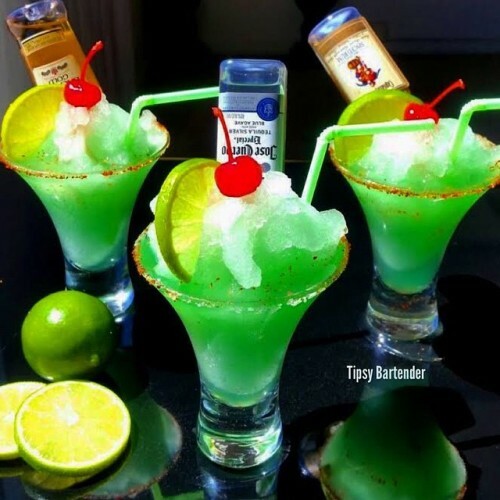 The little mermaid cocktail "sirens song"